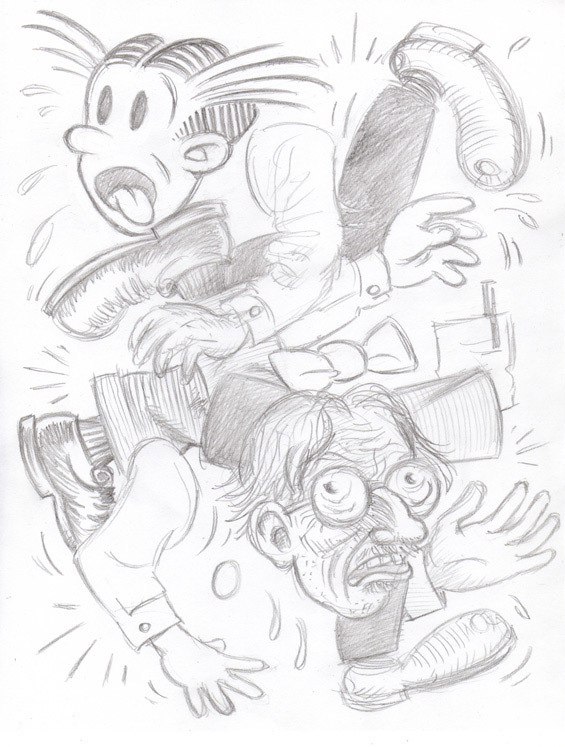 A preliminary study for one of the latest in my Cartoon Jumbles series. Pencil on copy paper. Paper is 8" x 11". Scroll down art list for others marked PENCIL JUMBLE to see almost three dozen other such unique graphite understudy drawings of your favorite Jumbles, all for just $15 each!